This is a fantastic scope, clear edge-to-edge sight picture, generous eye relief, side focus parallax adjustment, and a glass reticule. The big (56mm) objective lens gathers TONS of light and the image in the glass is as crisp as can be. This scope is a HUGE value at full retail and at Sam's you pay much less! It's a 30mm tube so remember to buy 30mm scope rings..probably tall rings as well. I bought another as soon as the first one arrived, yes, it's that good. 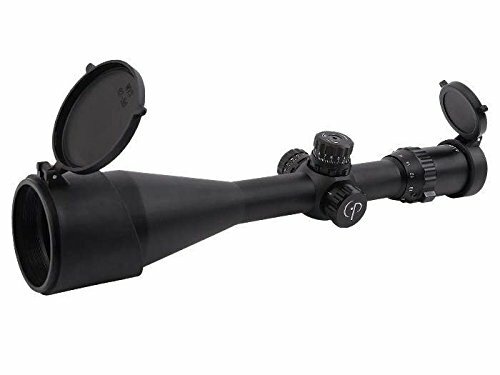 I plan on using this scope for .17hmr and possibly .308, but the extra magnification and the very crisp image will really be helpful with .17HMR down range.